This Bamboo Pantry Shelf is both stylish and functional. 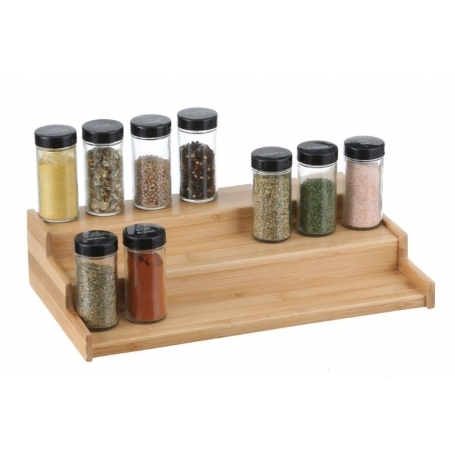 Designed to be used in your kitchen cupboard or pantry to neatly store your tinned cans, spices and bottles. Made from sustainably sourced bamboo.